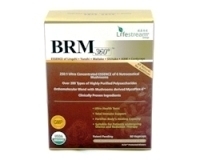 Employing innovative proprietary biotechnology and unique Cordyceps strain, organic Lifestream Greenhouse Cordyceps Stroma™ contains pharmacologically active component similar to wild cordyceps. 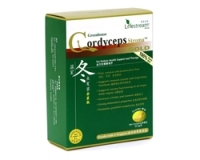 High in essential cordyceps constituent, Adenosine, its potency is more stable than wild cordyceps as it is cultivated stringently and harvested at the most appropriate time. Gold blend is synergistically combined with Polysaccharides rich, USA Certified Organic Greenhouse Cordyceps COMPLETE™. A winning combination, it is totally natural and is suitable for long term consumption by all ages including vegetarians. Adults: Take 1 teaspoon, 3 to 4 times weekly or as required. Children (2-12 years): Take 1/2 teaspoon 3 to 4 times weekly or as required. Take 1 to 2 heap teaspoon daily or as advised by qualified healthcare practitioners.